Researcher at the Institute of Rare Diseases Research (IIER), Institute of Health Carlos III (ISCIII) since 2005 and actually Biobank Assistant Manager at the Biobank of IIER. She is doing PhD in Public Health. Universidad de Alcalá de Henares (Madrid), 2012; MSc in Pharmacy, Universidad de Alcalá de Henares (Madrid), 2002; Master in Science Public Health from National Public Health School of Madrid. Instituto de Salud Carlos III. 2003-2004; Spanish Epidemiological Training Programme (PEAC) from National Centre of Epidemiology. Instituto de Salud Carlos III. 2005-2007. Researcher and Biobank Assistant Manager at the Institute of Rare Diseases Research. Instituto de Salud Carlos III. 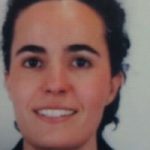 Actually she is involved in Spanish Rare Diseases Registries Research network (SpainRDR) a project approved within the IRDiRC framework, in the national RD Registry in Spain, RD-HUB, Eurobiobank and The Spanish National Biobank Network (ReTBioH). She has been worked in Europeans Project: “Building Consensus and Synergies for the EU Registration of Rare Disease Patients EPIRARE (2011) and EUORPHAN “Service for the support of the European Orphan medicine market” (2005-2006).She has been part of the Biomedical Network Research Centre for Rare Diseases (CIBERER) (2008-2011) and she has been researcher of Control and Prevention of Communicable Diseases. National Centre of Epidemiology (2007-2008).